The premiere community for tattoos, connecting you with top shops & artists around the world. 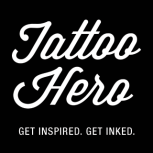 Only at Tattoo Hero | Get Inspired. Get Inked. The ultimate guide to getting a tattoo for anyone who loves tattoos. Everything you need to know about how to care for your tattoo.